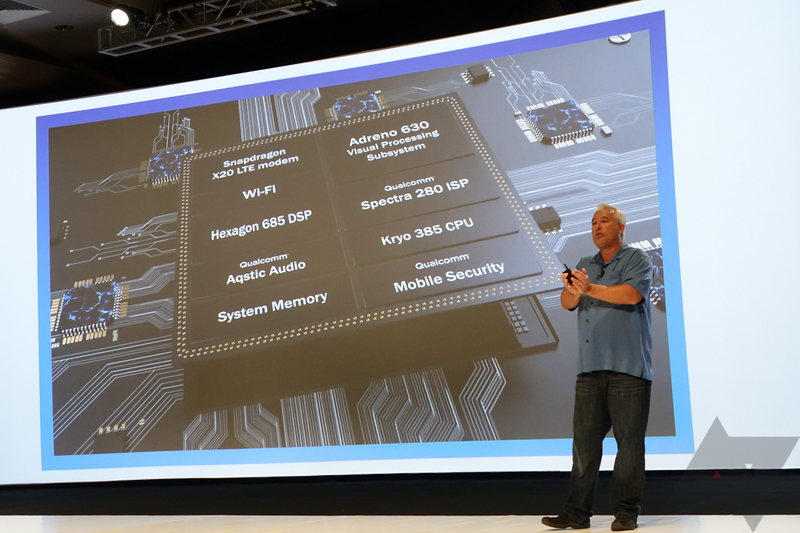 The new Kryo 385 design is based on ARM reference cores (Qualcomm isn't saying which ones), built on Samsung's 2nd-generation 10nm process. 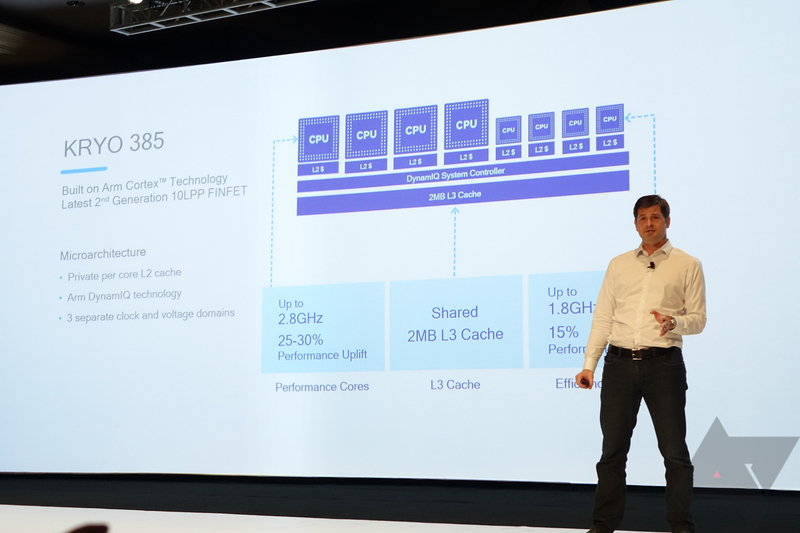 Each core has its own private L2 cache, and there's now an L3 cache with 2MB of memory. 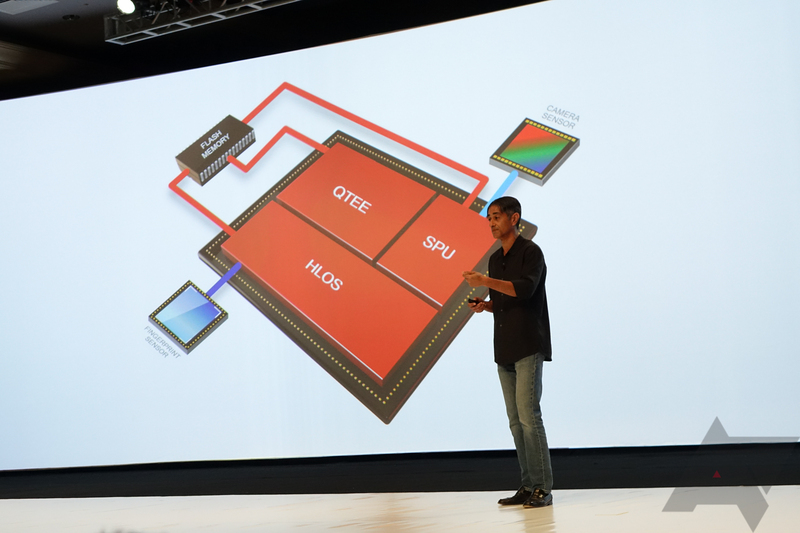 The high-power cores offer 25-30% greater performance than those in the Snapdragon 835, while the low-power cores are about 15% quicker. The big cores can be clocked up to 2.8GHz, while the smaller ones are 1.8GHz. The chip includes a new version of the Spectra image signal processor (Spectra 280) and a substantially more powerful iteration of the Hexagon DSP to allow for greater performance in machine learning and AI applications. 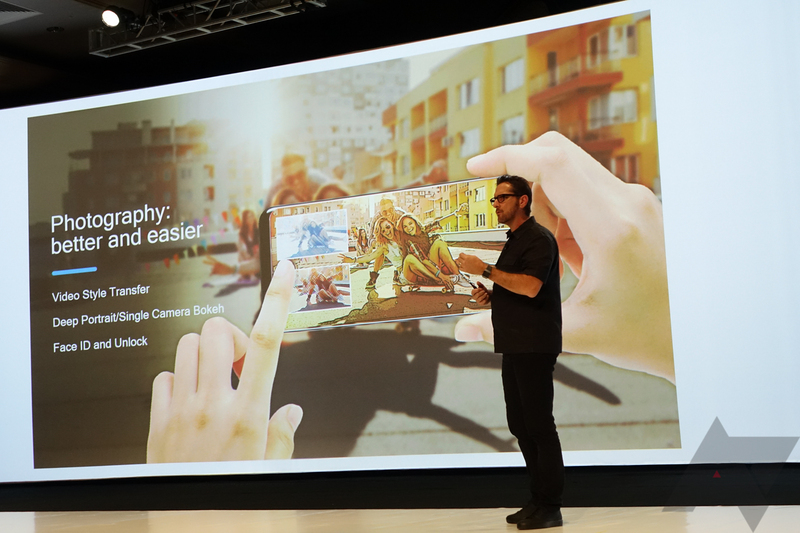 The new ISP will allow capture of HDR at 4K 60FPS video, a first in a smartphone. It also supports 480FPS slow-motion video capture (at 720p with HDR), selective motion capture, "deep" portrait mode, and various depth sensing technologies. 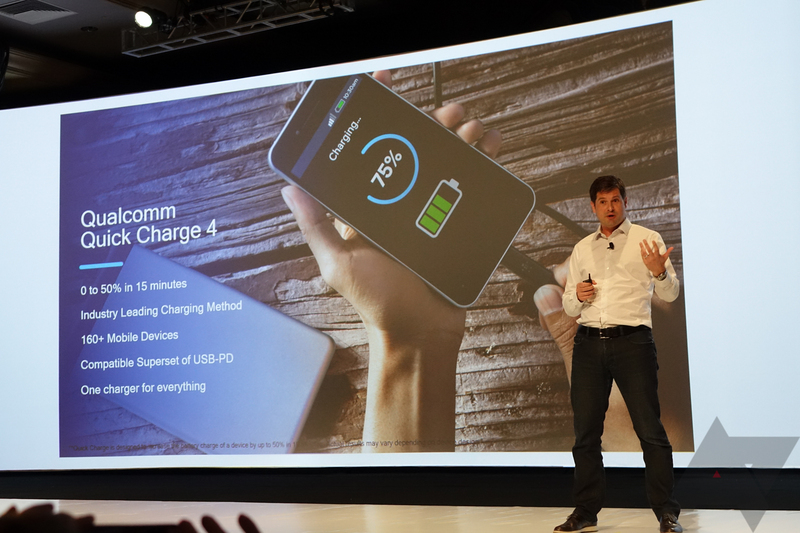 Here is Qualcomm's quick hit list of the chip's features. 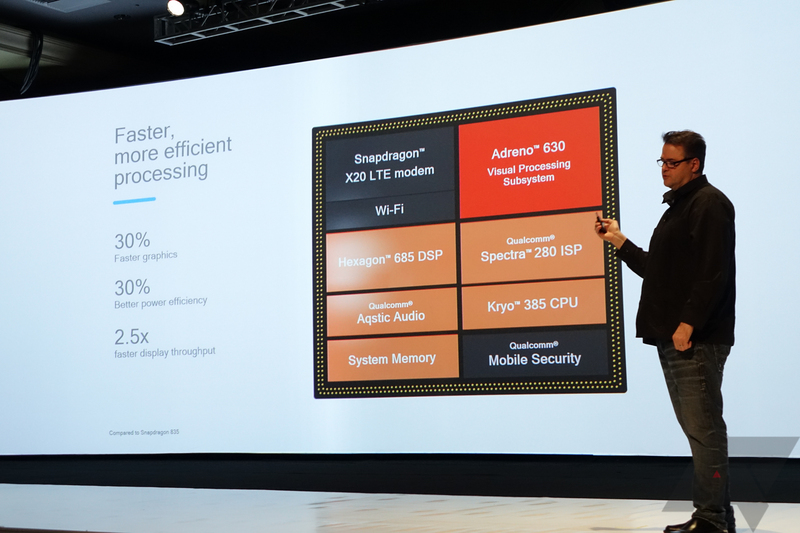 Snapdragon 845 also contains a dedicated "secure processing unit" that exists on a power "island" on the chipset. The new chip will be able to execute biometric or key authentication without ever running code on the primary processor, rendering it much more difficult to compromise your authentication data. The new X20 LTE modem will support 5x Carrier Aggregation, allowing peak speeds up to 1.2Gbps, a 20% improvement over the X16 modem found in the Snapdragon 835. 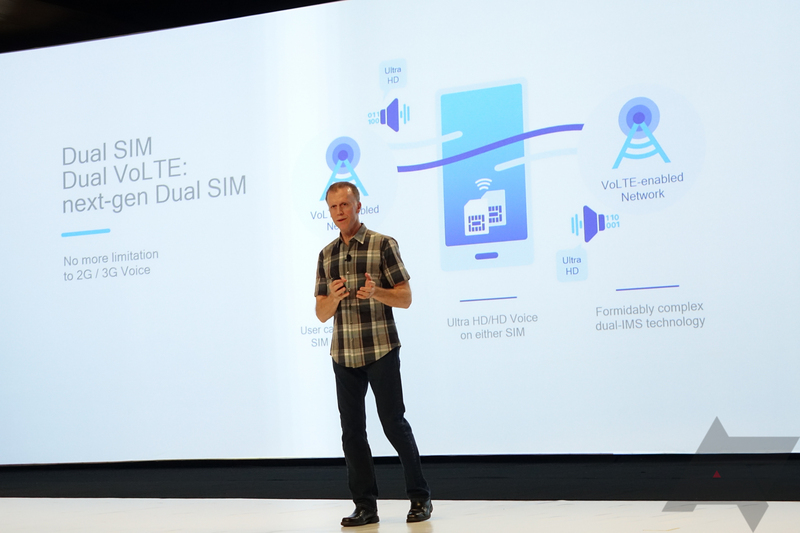 The X20 will support dual LTE SIM connectivity, meaning your phone won't have to keep one SIM on 2G or 3G, which should be great news in countries where dual SIM phones are common. Wi-Fi performance is up, too. 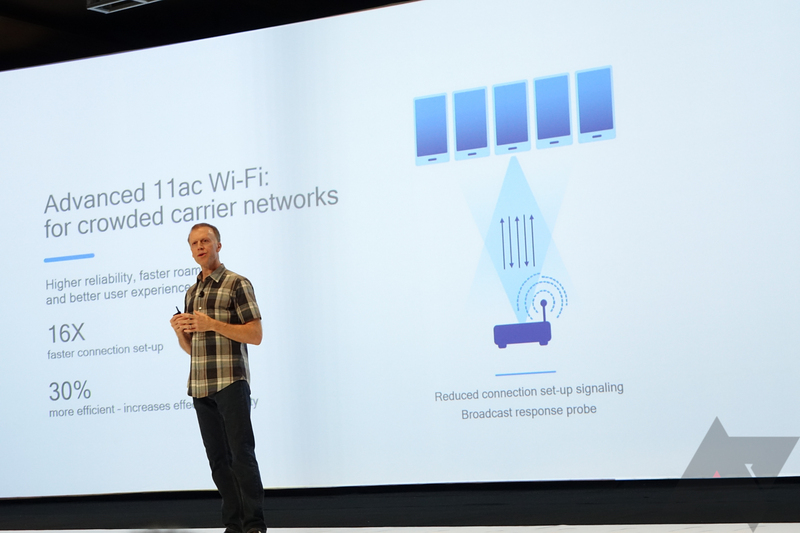 Fast initial link setup for 802.11ac networks will result in up to 16x improvement in connection initialization speeds, and will be up to 30% more efficient. Bluetooth is getting capability upgrades in the form of multi-device broadcasting, allowing your phone to broadcast to multiple Bluetooth devices at once. Qualcomm says this will have significant implications for truly wireless earbuds, as current implementations have one earbud acting as a receiver and broadcaster, sending the audio signal to the second earbud. 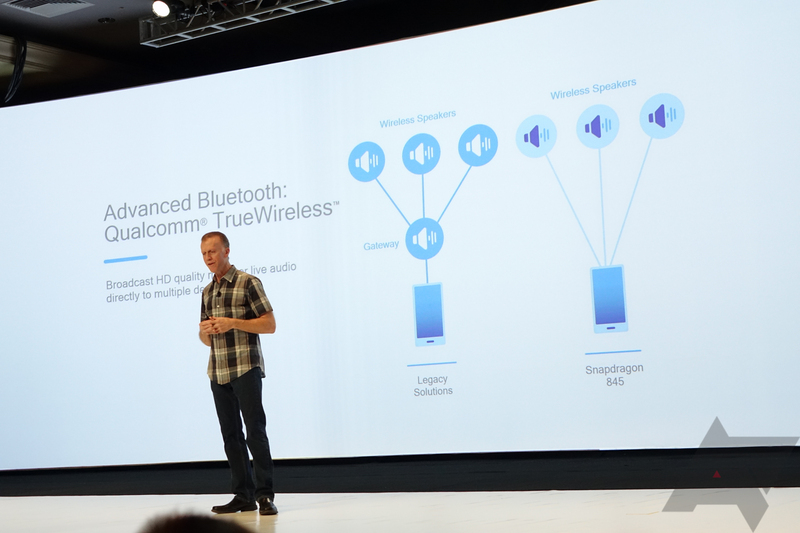 This new Bluetooth capability will allow the phone to broadcast to both earbuds, meaning the earbuds don't need to do any transmitting (this should also improve reception performance, theoretically). For more, check out the press release below or the official site here. Connect: The Snapdragon 845 features our most advanced suite of wireless technologies ever in a mobile platform, with cutting edge LTE, Wi-Fi, and Bluetooth features. 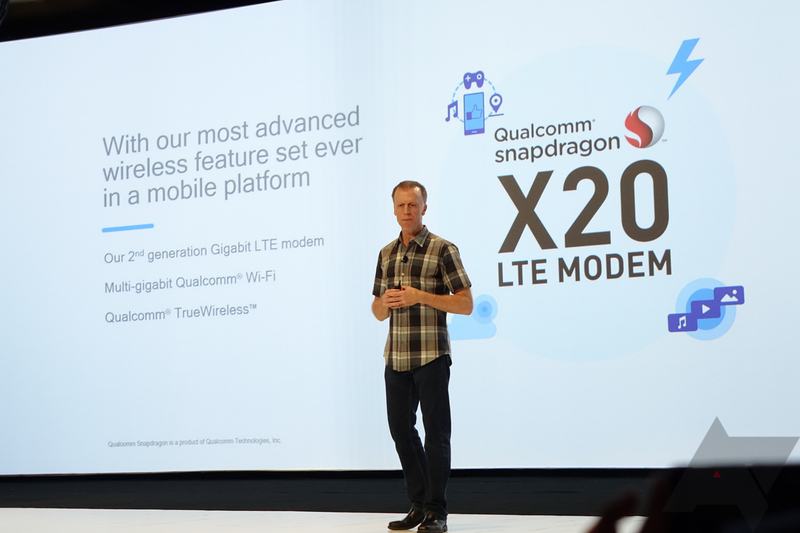 The Snapdragon 845 integrates Qualcomm Technologies’ second-generation Gigabit LTE solution – the Snapdragon X20 LTE modem. Its lightning-fast connection speeds allow users to enjoy immersive XR experiences in more places, download a 3GB movie in less than 3 minutes, just before boarding a flight and access large files or apps in the cloud as fast as those stored in their phones’ memory. 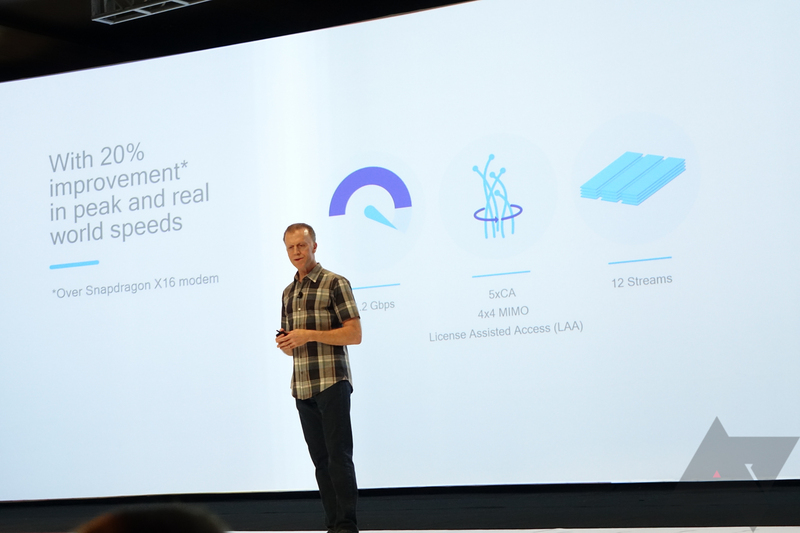 The Snapdragon X20 modem supports an expanded range of technology and frequency band configurations across licensed, unlicensed and shared radio spectrum – all designed to accelerate global availability of Gigabit LTE as operators prepare for 5G. The modem supports LTE Category 18 peak download speeds of 1.2 Gbps, up to 5x carrier aggregation, License Assisted Access (LAA), Dual SIM-Dual VoLTE as well as 4x4 MIMO on up to 3 aggregated carriers.